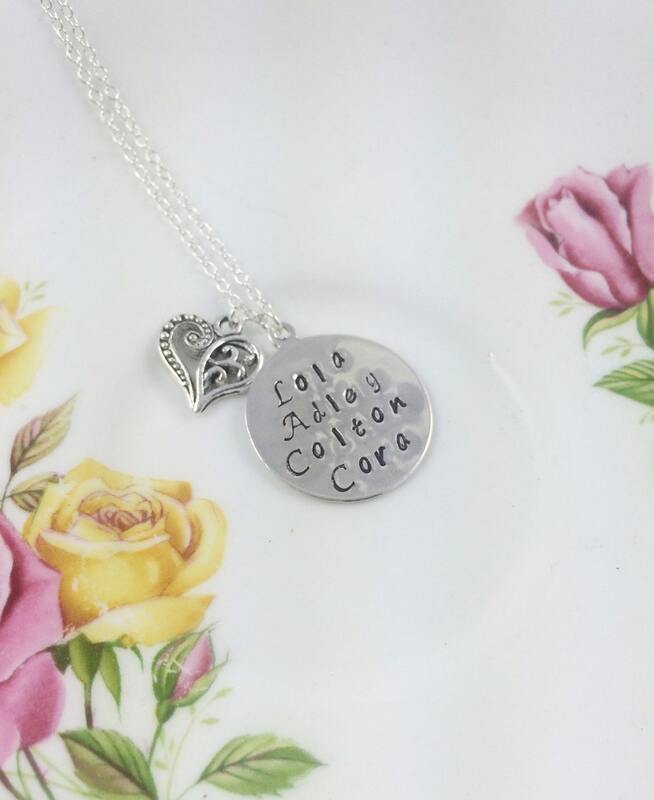 Great as a mothers necklace for children's names or grandma necklace for grandchildren names. Completely customizable- please message with what you want. Available in aluminum with coordinating chain.